Dr. Mark Martin is an Associate Professor of Biology at the University of Puget Sound. He received his Bachelor’s Degree in Biology from the University of California, Los Angeles and his PhD in Biological Sciences from Stanford University. Mark then completed postdoctoral training at the University of California, San Diego. Afterward, Mark worked in the biotech industry for several years. He spent some time as a science fiction author before accepting a teaching position at Occidental College in LA where he worked for about 10 years before joining the faculty at the University of Puget Sound. Mark is here with us today to tell us all about his journey through life and science. 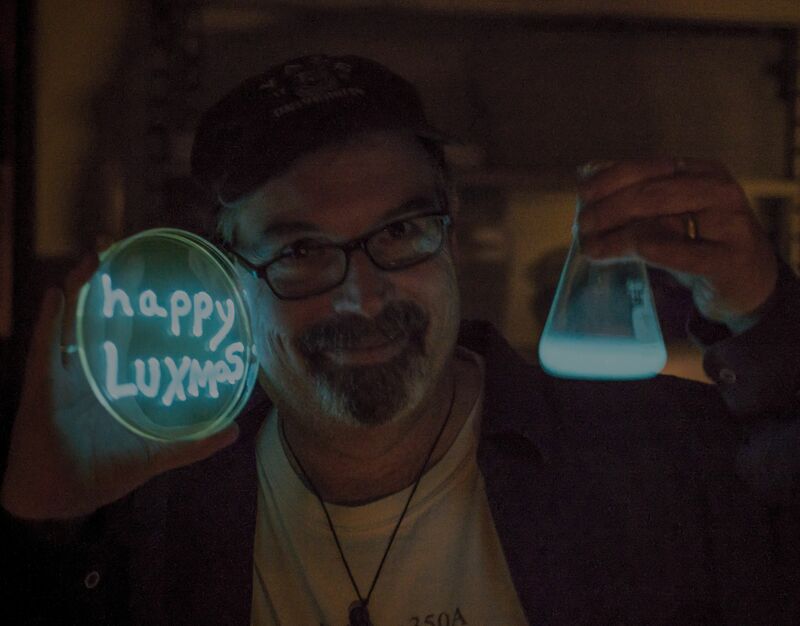 Mark first became entranced by the microbial world during his work in graduate school at Stanford University. At the University of Puget Sound, Martin teaches introductory cell and molecular biology, research methods, cell biology, symbiotic associations, and microbiology. He is well known for incorporating social media and “creative” approaches in his classroom, mixing art and science in memorable ways. Martin’s undergraduate research group explores the genetics of predatory and other unusual “undomesticated” microbes, as well as novel symbioses between bacteria and terrestrial and marine animals using bioinformatic approaches. Over the years, Martin has sent 16 of his undergraduate research students to PhD programs across the Unites States. An avowed “microbial supremacist,” he works tirelessly to promote what he calls “Matters Microbial” to all who will listen.